Join us for a first look at this unique new venue that is "dedicated to creating an immersive artistic atmosphere with a theatrical theme in a space of more than 2,000 square meters." The famous design team, Kokai Studio, has created a very British-retro style interior, great for walking around and checking out the fashionable delights. 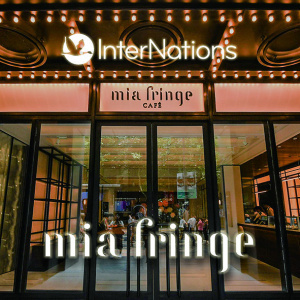 Mia Fringe contains a restaurant and has offered all InterNations members a 10% discount on food and drinks for the evening, or anytime you'd like to return through June 19th, 2019. Simply say you are an InterNations member. The event will be on the 2nd floor. Dress code is smart casual. We look forward to see all you wonderful people!